Just as a bird, wherever it goes, flies with its wings as its only burden, so too, the bhikkhu becomes content with robes to protect his body and with almsfood to maintain his stomach, and wherever he goes he sets out taking only these with him. Possessing this aggregate of noble virtue, he experiences within himself a bliss that is blameless. Siddhartha Gautama Buddha (Sanskrit), Siddhattha Gotama (Pali), (c. 563 – c. 483 BC) was a teacher and religious leader. "Buddha", meaning awakened one or enlightened one is a title, not a name. 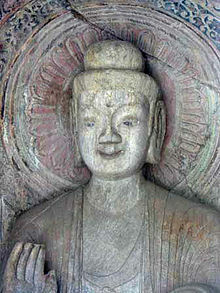 Shakyamuni Buddha, whose original name was Gautama, was the founder of Buddhism. Now in those days, brethren, there shall arise in the world an Exalted One by name Maitreya (the Kindly One) an Arhat, a Fully Enlightened One, endowed with wisdom and righteousness, a Happy One, a World-knower, the Peerless Charioteer of men to be tamed, a teacher of the devas and mankind, an Exalted One, a Buddha like myself. He of His own abnormal powers shall realize and make known the world, and the worlds of the devas, with their Maras, their Brahmas, the host of recluses and brahmins, of devas and mankind alike, even as I do now. He shall proclaim the Norm, lovely in its beginning, lovely in its middle, and lovely in the end thereof. He shall make known the wholly perfect life of righteousness in all its purity, both in the spirit and in the letter of it, even as I do now. He shall lead an Order of Brethren numbering many thousands, even as I do now lead an order of Brethren numbering many hundreds. The seers of old had fully restrained selves, and were austere. Having abandoned the five strands of sensual pleasures, they practiced their own welfare. The brahmans had no cattle, no gold, no wealth. They had study as their wealth and grain. They guarded the holy life as their treasure. Rahula, whatever internally, belonging to oneself, is solid, solidified, and clung-to, that is, head-hairs, body-hairs, nails, teeth, skin, flesh, sinews, bones, bone-marrow, kidneys, heart, liver, diaphragm, spleen, lungs, large intestines, small intestines, contents of the stomach, feces, or whatever else internally, belonging to oneself, is solid, solidified, and clung-to: this is called the internal earth element. Now both the internal earth element and the external earth element are simply earth element. And that should be seen as it actually is with proper wisdom thus: “This is not mine, this I am not, this is not my self.” When one sees it thus as it actually is with proper wisdom, one becomes disenchanted with the earth element and makes the mind dispassionate towards the earth element. (...) Just this noble eightfold path: right view, right aspiration, right speech, right action, right livelihood, right effort, right mindfulness, right concentration. That is the ancient path, the ancient road, traveled by the Rightly Self-awakened Ones of former times. I followed that path. Following it, I came to direct knowledge of aging & death, direct knowledge of the origination of aging & death, direct knowledge of the cessation of aging & death, direct knowledge of the path leading to the cessation of aging & death. I followed that path. Following it, I came to direct knowledge of birth... becoming... clinging... craving... feeling... contact... the six sense media... name-&-form... consciousness, direct knowledge of the origination of consciousness, direct knowledge of the cessation of consciousness, direct knowledge of the path leading to the cessation of consciousness. I followed that path. Just as the eldest son of a wheel-turning monarch properly keeps in motion the wheel of sovereignty set in motion by his father, so do you, Sāriputta, properly keep in motion the Wheel of Dhamma set in motion by me. Monks, a lay follower should not engage in five types of business. Which five? Business in weapons, business in human beings, business in meat, business in intoxicants, and business in poison. Wisdom is born of meditation; without meditation wisdom is lost. Knowing this one should conduct oneself so that wisdom may increase. 1.3-4; as translated by Radhakrishnan. Ch. 165, as translated in The Dharma, or The Religion of Enlightenment; An Exposition of Buddhism (1896) by Paul Carus; variants for some years have included "We ourselves must walk the path but Buddhas clearly show the way", but this is not yet located in any of the original publications of Carus. Conquer anger with love, evil with good, meanness with generosity, and lies with truth. Not by birth does one become an outcaste, not by birth does one become a brahman. By one's action one becomes an outcaste, by one's action one becomes a brahman. That bhikkhu who has cut off passion in its entirety, like one picking a lotus, both flower and stalk, leaves this shore and the far shore as a snake leaves its old worn-out skin. That bhikkhu who has cut off craving in its entirety, like one drying up a fast-flowing stream, leaves this shore and the far shore as a snake leaves its old worn-out skin. Leaving behind son and wife, and father and mother, and wealth and grain, and relatives, and sensual pleasures to the limit, one should wander solitary as a rhinoceros horn. 'This is an attachment; here there is little happiness, and little satisfaction; here there is very much misery; this is a hook.' Knowing this, a thoughtful man should wander solitary as a rhinoceros horn. Having torn one's fetters asunder, like a fish breaking a net in the water, not returning, like a fire not going back to what is already burned, one should wander solitary as a rhinoceros horn. The brahman Kasibhāradvāja addressed the Blessed One with a verse. Thus is this ploughing of mine ploughed. It has the death-free as its fruit. Having ploughed this ploughing one is freed from all misery. Faith is the best wealth for a man in this world. Righteousness when well practised brings happiness. Truth is the sweetest of flavours. They say the life of one living by wisdom is the best. Joined together with bones and sinews, having a plastering of skin and flesh, covered with hide, the body is not seen as it really is—full of intestines, full of stomach, of the lump of the liver, of bladder, of heart, of lungs, of kidneys and of spleen, of mucus, of saliva, and of sweat, and of lymph, of blood, of synovial fluid, of bile, and of fat, ... and its hollow head is filled with brain. A fool, overwhelmed by ignorance, thinks of it as beautiful, but when it lies dead, swollen up and discoloured, cast away in a cemetery, relatives have no regard for it. Dogs devour it, and jackals, and wolves and worms. Crows and vultures devour it, and whatever other living creatures there are. The bhikkhu possessing knowledge here, having heard the Buddha's word, indeed understands it, for he sees the body as it really is. Fifth	is Sloth & Drowsiness. As translated from the Sanskrit by D. T. Suzuki (1932). Full text online. Thus, Mahāmati, wherever there is the evolution of living beings, let people cherish the thought of kinship with them, and, thinking that all beings are [to be loved as if they were] an only child, let them refrain from eating meat. So with Bodhisattvas whose nature is compassion, [the eating of] meat is to be avoided by him. Even in exceptional cases, it is not [compassionate] of a Bodhisattva of good standing to eat meat. For fear of causing terror to living beings, Mahāmati, let the Bodhisattva who is disciplining himself to attain compassion, refrain from eating flesh. The food of the wise, Mahāmati, is what is eaten by the Rishis; it does not consist of meat and blood. … how can I permit my disciples, Mahāmati, to eat food consisting of flesh and blood, which is gratifying to the unwise but is abhorred by the wise, which brings many evils and keeps away many merits; and which was not offered to the Rishis and is altogether unsuitable? Now, Mahāmati, the food I have permitted [my disciples to take] is gratifying to all wise people but is avoided by the unwise; it is productive of many merits, it keeps away many evils; and it has been prescribed by the ancient Rishis. It comprises rice, barley, wheat, kidney beans, beans, lentils, etc., clarified butter, oil, honey, molasses, treacle, sugar cane, coarse sugar, etc. ; food prepared with these is proper food. Mahāmati, there may be some irrational people in the future who will discriminate and establish new rules of moral discipline, and who, under the influence of the habit-energy belonging to the carnivorous races, will greedily desire the taste [of meat]: it is not for these people that the above food is prescribed. Mahāmati, this is the food I urge for the Bodhisattva-Mahāsattvas who have made offerings to the previous Buddhas, who have planted roots of goodness, who are possessed of faith, devoid of discrimination, who are all men and women belonging to the Śākya family, who are sons and daughters of good family, who have no attachment to body, life, and property, who do not covet delicacies, are not at all greedy, who being compassionate desire to embrace all living beings as their own person, and who regard all beings with affection as if they were an only child. If, Mahāmati, meat is not eaten by anybody for any reason, there will be no destroyer of life. Again, Mahāmati, there may be some unwitted people in the future time, who, beginning to lead the homeless life according to my teaching, are acknowledged as sons of the Śākya, and carry the Kāshāya robe about them as a badge, but who are in thought evilly affected by erroneous reasonings. They may talk about various discriminations which they make in their moral discipline, being addicted to the view of a personal soul. Being under the influence of the thirst for [meat-] taste, they will string together in various ways some sophistic arguments to defend meat-eating. They think they are giving me an unprecedented calumny when they discriminate and talk about facts that are capable of various interpretations. Imagining that this fact allows this interpretation, [they conclude that] the Blessed One permits meat as proper food, and that it is mentioned among permitted foods and that probably the Tathagata himself partook of it. But, Mahāmati, nowhere in the sutras is meat permitted as something enjoyable, nor it is referred to as proper among the foods prescribed [for the Buddha's followers]. … all [meat-eating] in any form, in any manner, and in any place, is unconditionally and once for all, prohibited for all. Thus, Mahāmati, meat-eating I have not permitted to anyone, I do not permit, I will not permit. Meat-eating, I tell you, Mahāmati, is not proper for homeless monks. From eating [meat] arrogance is born, from arrogance erroneous imaginations issue, and from imagination is born greed; and for this reason refrain from eating [meat]. There is no meat to be regarded as pure in three ways: not premeditated, not asked for, and not impelled; therefore, refrain from eating meat. As translated from the Chinese by Kosho Yamamoto (1973) and revised by Tony Page (2007). Full text online. From now on, I do not permit my sravaka disciples to eat meat. … One who eats meat kills the seed of great compassion. … I, from now on, tell my disciples to refrain from eating any kind of meat. O Kasyapa! When one eats meat, this gives out the smell of meat while one is walking, standing, sitting or reclining. People smell this and become fearful. This is as when one comes near a lion. One sees and smells the lion, and fear arises. O good man! When one eats garlic, the dirty smell is unbearable. … It is the same with one who eats meat. It is a similar situation with all people who, on smelling the meat, become afraid and entertain the thought of death. All living things in the water, on land and in the sky desert such a person and run away. They say that this person is their enemy. As translated from the Chinese by the Buddhist Text Translation Society (2009). Full text online. After my nirvana, how will people who eat the flesh of beings deserve to be called disciples of Śākyamuni? You should understand that these people who eat flesh may gain some modicum of mental awakening while practicing samādhi, but they are all great rākṣasas who in the end must fall into the sea of death and rebirth. 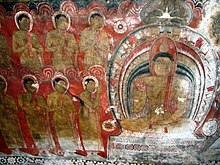 They are not disciples of the Buddha. Such people kill and devour each other, feeding on each other in an endless cycle. How could they possibly get out of the three realms? When you teach people in the world to practice samādhi, teach them to renounce all killing. How then can it be compassionate to gorge on other beings’ blood and flesh? Monks who will not wear silks from the East, whether coarse or fine; who will not wear shoes or boots of leather, nor furs, nor birds’ down from our own country; and who will not consume milk, curds, or ghee, have truly freed themselves from the world. I can affirm that a person who neither eats the flesh of other beings nor wears any part of the bodies of other beings, nor even thinks of eating or wearing these things, is a person who will gain liberation. Mendicants, I now impress it upon you, the parts and powers of man must be dissolved; work out your own salvation with diligence. Behold now, bhikkhus, I exhort you: All compounded things are subject to vanish. Strive with earnestness! This is actually a pithy modern-day 'summary' of the "Abhaya Sutta" (AN 4.184). It appears in "Buddha’s Little Instruction Book" by Jack Kornfield (p88). In all things, there is neither male nor female. Pali Canon 42-43 Cittavagga The Mind. I beat the drum of the Deathless. One day, Ananda, who had been thinking deeply about things for a while, turned to the Buddha and exclaimed: "Lord, I've been thinking - spiritual friendship is at least half of the spiritual life!" The Buddha replied: "Say not so, Ananda, say not so. Spiritual friendship is the whole of the spiritual life!" In what is thought, there should be just the thought. One should follow a man of wisdom who rebukes one for one's faults, as one would follow a guide to some buried treasure. To one who follows such a wise man, it will be an advantage and not a disadvantage. I teach one thing and one only: suffering and the end of suffering. Just as a mother would protect with her life her own son, her only son, so one should cultivate an unbounded mind towards all beings, and loving-kindness towards all the world. One should cultivate an unbounded mind, above and below and across, without obstruction, without enmity, without rivalry. Standing, or going, or seated, or lying down, as long as one is free from drowsiness, one should practice this mindfulness. This, they say, is the holy state here. What is this world condition? Body is the world condition. And with body and form goes feeling, perception, consciousness, and all the activities throughout the world. The arising of form and the ceasing of form--everything that has been heard, sensed, and known, sought after and reached by the mind--all this is the embodied world, to be penetrated and realized. The fool thinks he has won a battle when he bullies with harsh speech, but knowing how to be forbearing alone makes one victorious. Solitude is happiness for one who is content, who has heard the Dhamma and clearly sees. Non-affliction is happiness in the world - harmlessness towards all living beings. Siddhartha Gautama, the Buddha, drew a circle with a piece of red chalk and said: "When men, even unknowingly, are to meet one day, whatever may befall each, whatever the diverging paths, on the said day, they will inevitably come together in the red circle." Director Jean-Pierre Melville made it up for the epigraph of Le Cercle Rouge (The Red Circle). As rendered by T. Byrom (1993), Shambhala Publications. 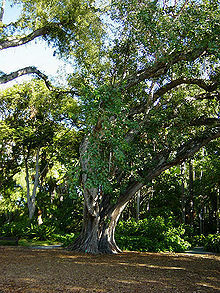 The source is likely to be either modern Buddhist monk Thich Nhat Hanh, or Calvinist clergyman Abraham Johannes Muste. The phrase appears in Thich Nhat Hanh's writings; but it also appears in a volume of US senate hearings from 1948, when Thich Nhat Hanh had not yet been ordained as a monk. Muste is known to have used a variant of the phrase – "'peace' is the way" in 1967, but this was not the first time he had used it, and he had a connection with the 1948 hearing. 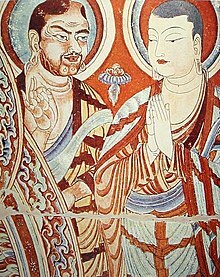 The teachings of Buddha are eternal, but even then Buddha did not proclaim them to be infallible. The religion of Buddha has the capacity to change according to times, a quality which no other religion can claim to have … Now what is the basis of Buddhism? If you study carefully, you will see that Buddhism is based on reason. There is an element of flexibility inherent in it, which is not found in any other religion. The Buddha came approximately five hundred years before Christ. . . . Buddha answered the questions posited in His time by giving the Four Noble Truths, which satisfactorily and eternally answer man's demand of why. These Truths can be summarised as follows: the Buddha taught that misery and suffering were of man's own making, and that the focussing of human desire upon the undesirable, the ephemeral and the material, was the cause of all despair, all hatred and competition, and the reason why man found himself living in the realm of death..."
Truly did the Buddha seek truth, both in the living and in the dead. For this impermanence was only to suffer by the weight of the physical world, although indeed we were not, as the existence would succumb to form yet hath we been without such. To call unity onto abstraction by the utterance of a word, as no bond or bound could be placed upon thee for there was none to be had. The containment of contention was that of fear and thus the ego, merely relying on the surface to perceive weakness, though within us man could not restrain. Overcome the order by following on ones own path. One of my sons, the eldest boy, accused me of being a follower of Buddha, and some of my Hindu countrymen also do not hesitate to accuse me of spreading Buddhistic teaching under the guise of Sanatana Hinduism. I sympathize with my son's accusations and the accusations of my Hindu friends. And sometimes I feel even proud of being accused of being a follower of the Buddha, and I have no hesitation in declaring in the presence of this audience that I owe a great deal to the inspiration that I have derived from the life of the Enlightened One. Asia has a message for the whole world, if only it would live up to it. There is the imprint of Buddhistic influence on the whole of Asia, which includes India, China, Japan, Burma, Ceylon, and the Malay States. For Asia to be not for Asia but for the whole world, it has to re-learn the message of the Buddha and deliver it to the whole world. His love, his boundless love went out as much to the lower animal, to the lowest life as to human beings. And he insisted upon purity of life. Now in this realm Buddha's speeches are a source and mine of quite unparalleled richness and depth. As soon as we cease to regard Buddha's teachings simply intellectually and acquiesce with a certain sympathy in the age-old Eastern concept of unity, if we allow Buddha to speak to us as vision, as image, as the awakened one, the perfect one, we find him, almost independently of the philosophic content and dogmatic kernel of his teachings, a great prototype of mankind. Whoever attentively reads a small number of the countless speeches of Buddha is soon aware of harmony in them, a quietude of soul, a smiling transcendence, a totally unshakeable firmness, but also invariable kindness, endless patience. As ways and means to the attainment of this holy quietude of soul, the speeches are full of advice, precepts, hints. 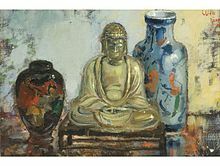 The intellectual content of Buddha's teaching is only half his work, the other half is his life, his life as lived, as labour accomplished and action carried out. 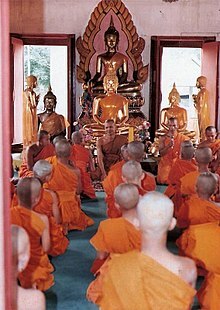 A training, a spiritual self training of the highest order was accomplished and is taught here, a training about which unthinking people who talk about "quietism" and "Hindu dreaminess" and the like in connection with Buddha have no conception; they deny him the cardinal Western virtue of activity. Instead Buddha accomplished a training for himself and his pupils, exercised a discipline, set up a goal, and produced results before which even the genuine heroes of European action can only feel awe. If we ask, for instance, whether the position of the electron remains the same, we must say 'no'; if we ask whether the electron's position changes with time, we must say 'no'; if we ask whether the electron is at rest, we must say 'no'; if we ask whether it is in motion, we must say 'no'. The Buddha has given such answers when interrogated as to the conditions of a man's self after his death; but they are not familiar answers for the tradition of seventeenth and eighteenth century science. every one of these we have seen and heard. Ratnākara in Vimalakirti Sutra, Chapter I. As translated by Burton Watson, Columbia University Press, 2000, ISBN: 0231106572.
but each living being understands it in his own way. The Buddha, the unparalleled one. Vimalakirti Sutra, Chapter I. As translated by Burton Watson, Columbia University Press, 2000, ISBN: 0231106572. At that time the Buddha, reverently surrounded by this multitude of countless hundreds and thousands of beings, expounded the Law for them. He was like Mount Sumeru, king of mountains, rising up out of the great sea. Resting at ease in his lion's seat clustered with jewels, he shed his radiance over all the great throng gathered there. This page was last edited on 31 March 2019, at 06:44.